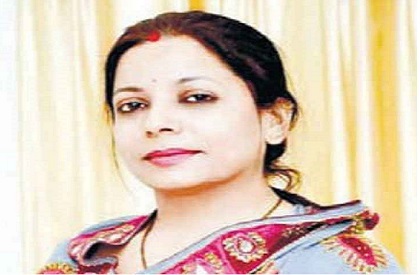 Indore: In a shocking development, the chairperson of child welfare committee (CWC) of Ratlam district in Madhya Pradesh, Rachna Bhartiya and her husband Raju Bhartiya have been arrested along with two others for sexual abuse and torture of girls in a government-run shelter home in the city. Bhartiya was director of the NGO that runs the shelter home till a year ago when she become the district CWC chief. The current director Sandesh Jain and secretary Dilip Baraiya have also been arrested by the police for their involvement in the crime, the Ratlam district collector Ruchika Chouhan has confirmed. The abuse case came to light after five girls managed to escape from the shelter home on January 24 and were found wandering in neighbouring Mandsaur. Statement recorded by them revealed that Rachna Bhartiya would torture them in inebriated condition, even force the girls to serve her liquor, while husband Raju were sexually abuse them. Cases of abuse of girls and even boys in shelter homes – both government and private have been reported rampantly in Madhya Pradesh including capital Bhopal during past few months. However any major pointed action yet remains to be taken.